Our team had the great pleasure of attending the North American Neuroendocrine Tumor Society (NANETS) Regional Education Conference in Los Angeles this past weekend. 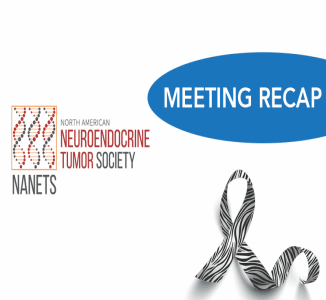 NANETS is a non-profit medical society that hosts regional neuroendocrine tumor (NET) education conferences throughout the year to help educate healthcare professionals on the diagnosis and treatment of NET disease. We were thrilled to speak with professionals who are on the cutting edge of new research, learn how we can best serve patients, and raise awareness of innovative health solutions. For our team, NANETS Regional Conferences allow us to benefit from the ongoing sharing of medical knowledge and experience. With so many new advancements and studies, these conferences allow professionals to exchange the latest information on NET disease diagnosis, treatment and supportive care year-round. The Los Angeles Regional Conference was no exception – presentations ranged from surgical treatment, hormonal management, and new clinical and case studies. While on-site, we had a chance to speak with local healthcare professionals, physicians, and specialists and listen to their experiences with patients who are living with this disease, and what they need to help overcome debilitating side effects. To help raise awareness of NET disease, we provided a short round-up of our key takeaways from the meeting in the hopes that we can continue the education process outside of the conference! In the US, approximately 100,000 people live with NET disease and over 12,000 patients are newly diagnosed each year. These tumors grow very slowly compared to other cancers, and it can take many years before they cause symptoms. The time from onset of symptoms to proper diagnosis often exceeds five years. In addition, 60%-80% of all NET patients are incorrectly diagnosed and treated for the wrong disease (such as Irritable Bowel Syndrome or Crohn’s disease). Patients can live for years while actively treating this disease and managing side effects. Its number one and most debilitating symptom is chronic diarrhea – with many patients experiencing up to 20 episodes per day. How Can Individuals Feel Healthy Again? Not only do NET patients suffer from the physical aspects of diarrhea, but it also takes an enormous social and emotional toll on patients. NET patients are distressed by the frequency of diarrheal episodes as well as the uncontrolled urgency that often results in bowel-related accidents. Sufferers also express embarrassment or anxiousness about day-today activities – like dining out or traveling – and there is a constant need to be aware of bathroom locations when they leave their homes. As a result, many patients limit their social involvements and feel isolated. With patients living for many years with this disease, there is a large unmet need for solutions that can reduce the frequency of diarrhea, so patients can start to live their life again. Managing NET symptoms can be challenging, but finding the right solution can make all the difference. Developed by oncologists and gastroenterologists, enterade® is clinically proven to be an effective solution for NET-related diarrhea. Its proprietary combination of critical amino acids and electrolytes uniquely addresses the core contributors to NET-related diarrhea. Not to mention, enterade is sugar-free, all-natural, and available without a prescription. Like all NANAETS attendees and participants, we are laser-focused on improving the lives patients and helping them get back to living their life. For this reason, we look forward to attending future NANETS conferences, where we can continue to learn from and educate professionals in the space.